How Should The “Leave” Campaign Use Nigel Farage? The biggest impact on Britain made by French president Francois Hollande thus far has been the steady exodus of financially successful French workers and their families to London, fleeing the sclerotic economy and punitively high taxes across the English Channel. But now Hollande has surpassed himself. This week, France’s president inadvertently revealed a potential answer to the question that has been dogging the various rival “Leave” campaigns of those fighting for British secession from the European Union. That question: how best to utilise Nigel Farage, the man without whom this referendum would not be taking place at all, in a way which does not drive away swathes of other voters for whom the Farage and UKIP brands are toxic? In Brussels on Wednesday to make a joint address to the European Parliament with Angela Merkel, Hollande allowed himself to become riled up by Nigel Farage’s questioning and posturing, and in doing so the French president let slip something which every other European leader knows, but none will say directly. “I heard what Mr Farage say that the only road is for those who are not convinced of Europe is to leave Europe,” Mr Hollande said. Do we want to participate in a common state? Indeed that is the question. And how odd it is that it should take another country’s head of state to communicate so simply and clearly to the British people something which our own politicians either equivocate over or furiously ignore. 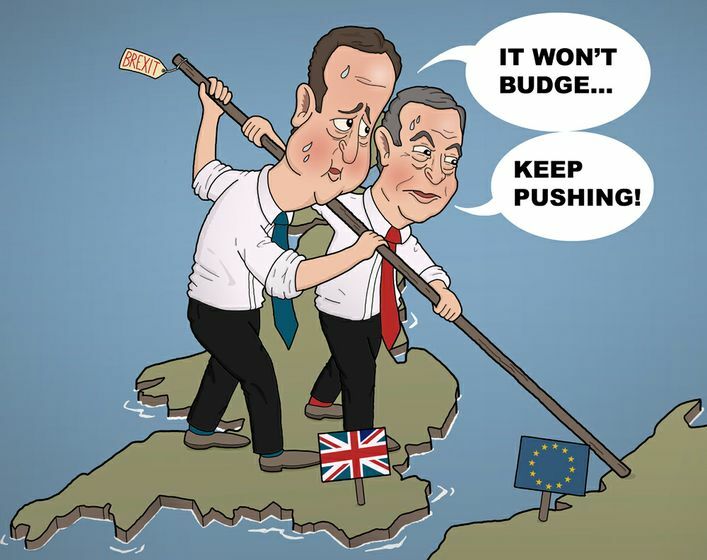 David Cameron’s renegotiations are a purely cosmetic exercise. We know this because Angela Merkel was still demanding even the simplest level of detail about the British government’s demands on the eve of her dinner with Cameron at Chequers. The government made no effort to consult with the people about the kind of Europe they wanted before setting off to renegotiate the terms of our membership, making it crystal clear that the concessions being sought are intended only to mollify the British electorate, not deliver real change. Besides which, the EU – both in response to the Euro and migrant crises, but mostly because this was the end goal all along – is heading firmly in the direction of further integration and the further subsuming of member states into a single political union. Jumping off the express train to a federal European state will relegate Britain to second tier membership status, while in all likelihood leaving us on the hook for the full budget contributions and committed to follow all of the existing laws and regulations sent down from Brussels. We can accept the ultimate destination, or we can get off the train. It’s not an unreasonable demand, but it is rare to hear it so pointedly expressed, particularly by one of the EU’s top leaders. And – just like getting the referendum in the first place – it is all thanks to Nigel Farage. Finally, we may have stumbled upon a prominent role for Nigel Farage that works for nearly every eurosceptic in Britain. Farage should remain in Brussels nearly full-time, a patriotic British cuckoo in their federalist nest. 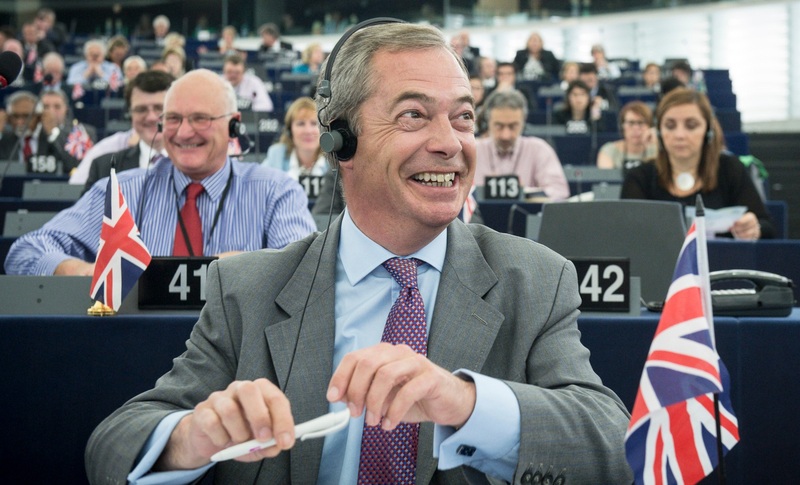 And from his bully pulpit in the European Parliament, Nigel Farage can do what Nigel Farage does best – deliver barnstorming speeches, mocking and provoking the puffed-up, self-important eurocrats, all of which will instantly go viral on YouTube. After a few months of the non-stop Farage filibuster, European sentiment will have turned completely against Britain in every way imaginable, and even the most level-headed EU politicians will be positively drooling at the prospect of Brexit and the hope of respite from Farage’s barbed criticisms. Meanwhile, the campaign at home can be fought by those with the potential to reach and persuade a broader portion of the electorate. Whichever group ultimately gets official designation as the lead campaign group – and they are all vanity projects to one degree or another – it will be possible for a combination of politicians, businesspeople and private citizens to make the case for nation state democracy and for Brexit. UKIP will undoubtedly play a prominent role – those who disapprove have some valid concerns, but the time has come to deal with reality – but in a less polarising way, with Nigel Farage leading the charge in Brussels. The “Leave” campaign was always going to be fought on two fronts. The pull factor from Britain consists of those voices calling for Britain to secede in order to reclaim our sovereignty and national democracy, and it is this which has been the near-exclusive focus of politicians and journalists. But equally important is the “push factor” from Europe – prominent EU leaders and bureaucrats being made to realise that Britain represents an existential threat to their dream of a federal European superstate, and thus actively helping to push Britain out the door (or at least refusing to spend time and effort persuading us to stay against our will). It is fair to say that now, with the referendum having been pledged by a reluctant David Cameron, there is little more that Nigel Farage can now personally contribute to the domestic campaign beyond firing up his own troops. Farage’s ability to help the “pull factor” is limited. But his high profile in Brussels – together with his inimitable talent for riling up the European Parliament with a mocking speech – means that so far as the “push factor” goes, the sky is the limit. Give UKIP’s EU parliament delegation enough ammunition and they may be able to secure British expulsion from the EU on their own, with no referendum required here at home. Okay, that last hypothesis is offered more in jest than seriousness. But one thing is clear – if we eurosceptics are to achieve this once in a generation opportunity to extricate Britain from an unwanted and deeply antidemocratic political union, we must not only use every resource at our disposal, but use every single resource to best effect. Francois Hollande’s tantrum in the European Parliament provides further proof that the “Leave” campaign needs to deploy Nigel Farage behind enemy lines, in the hallways of Brussels where he knows the lay of the land as well as which buttons to press in order to provoke a reaction. Just as partisan revolutionary fighters make restless and ineffective sleepy Home Guard soldiers, so Nigel Farage’s talents would be wasted – potentially even doing more harm than good – if deployed extensively on the domestic campaign. If Nigel Farage can have Francois Hollande wistfully dreaming of Brexit after just one day in his company, imagine the impact – and contribution to the “push factor” for Britain to leave – Farage could make if he ceded day-to-day leadership of UKIP to Suzanne Evans or Paul Nuttall, limited his role in the domestic campaign and devoted himself to trashing Britain’s reputation in the EU’s dusty, overlooked but powerful institutions. Nigel Farage will probably never agree to cede the spotlight in the domestic “Leave” campaign in this way. But if he did, he could force Europe to give an equivocating Britain that final push that we need to sever our ties to a suffocating political union and take our first steps as an independent country once again. Previous Article Should Eurosceptics Just “Get A Life” And Learn To Love The EU?